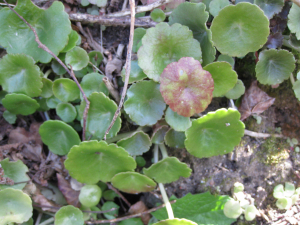 Observation - navelwort - UK and Ireland. Description: low growing with round fleshy leaves in crevice of wall. low growing with round fleshy leaves in crevice of wall.